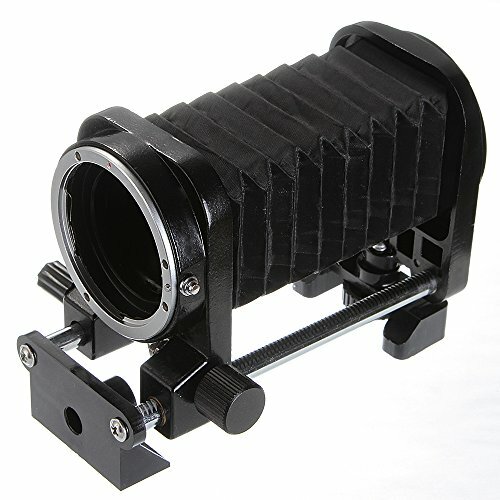 Macro bellows are great accessory for close-up, macro, micro, stereographic, slide/negative copying, and panoramic photography. 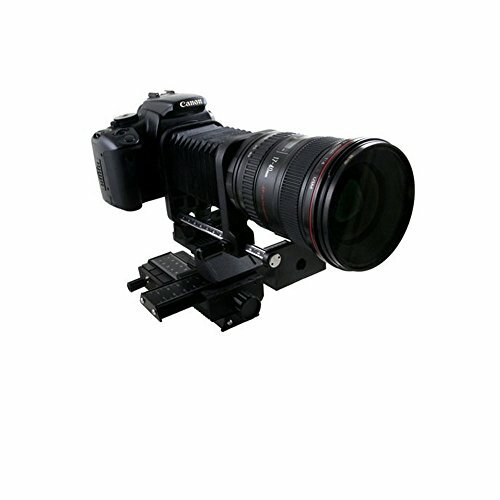 The precise rack and pinion gear allows very minute fore and aft movement of your camera set-up for very accurate focusing. The bellows has a locking screw to ensure it does not slip when pointed up or down. It can accommodate heavy cameras and lenses. Any camera with the appropriate adapter can be used with the bellows. 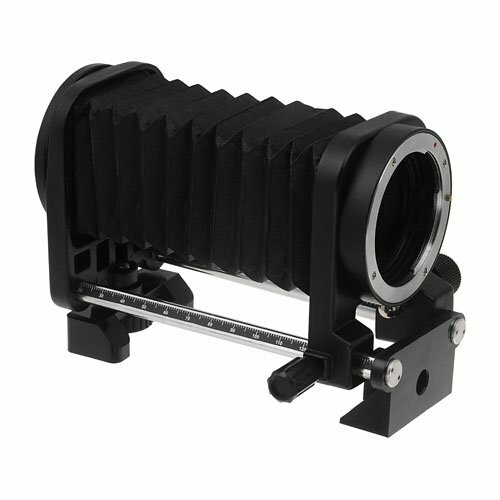 The bellows can be mounted on a copy stand, tripod, light stand or any accessory that accepts a ¼" tripod screw. It can be used outdoors for great nature close-up photography, due to its compact size and light weight. Specifications: Material: Plastic & Aluminum Alloy Compatible Model: for Nikon D90,D80,D70,D70S,D60,D50,D40,D40X,D7100,D7000,D5300,D5200,D5100,D5000,D3300,D3200,D3100,D3000,D810,D800E,D800,D700,D300,D200,D100,D4,D3X,D3,D2Xs,D2Hs,D2X,D2H,D1X,D1H,D1 and all AL SLR. Item Size: 14 * 11 * 7.5cm / 5.1 * 4.3 * 3.0in Item Weight: 217g / 7.6oz Package Size: 15.5 * 11.7 * 8cm / 6.1 * 4.6 * 3.1in Package Weight: 267g / 9.4ozPackage List: 1 * Macro BellowNote: When the bellows are in use, auto focus and aperture control are not available. 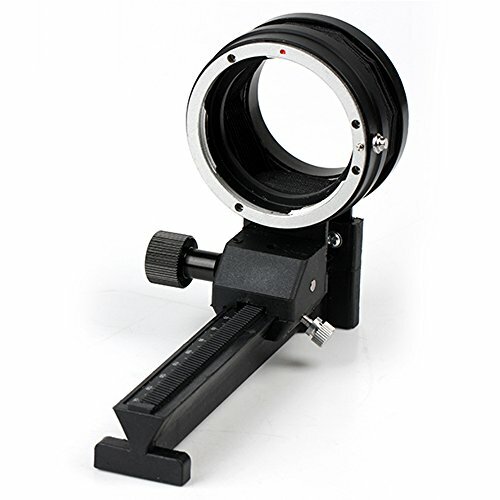 The macro bellow stretch the distant between your lens and film to provides high quality close up images for you. 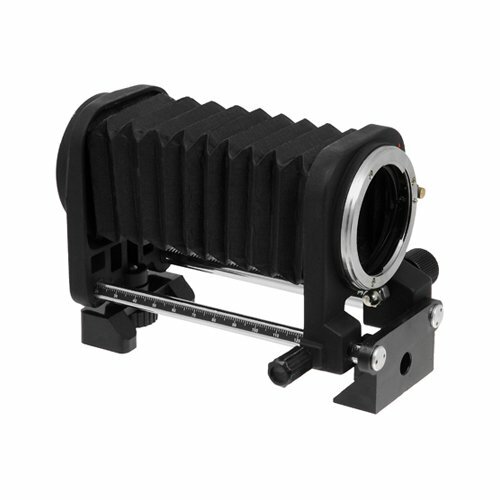 Features: Macro bellow for Nikon traditional film and digital SLR cameras. Stretch the distance between your lens and film to provides high quality close up images for you. With an accordion section to inserted between the lens and the camera body. Better to be used with a tripod which will allow you to adjust the distance smoothly and constantly. 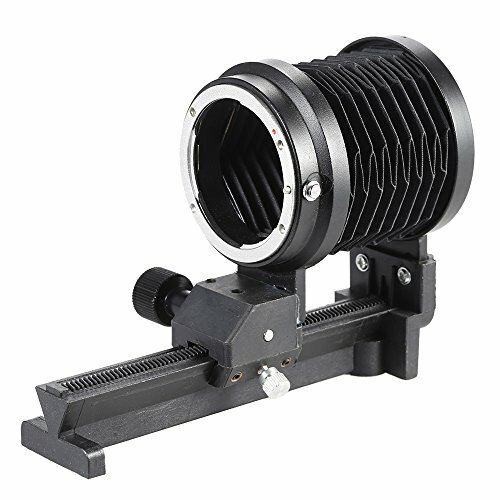 Macro bellows are great accessory for close-up, macro, micro, stereographic, slide/negative copying, and panoramic photography. The precise rack and pinion gear allows very minute fore and aft movement of your camera set-up for very accurate focusing. It does not slip when pointed up or down. It has a very secure locking mechanism. It can accommodate heavy cameras and lenses. Any camera with the appropriate adapter can be used with the bellows. 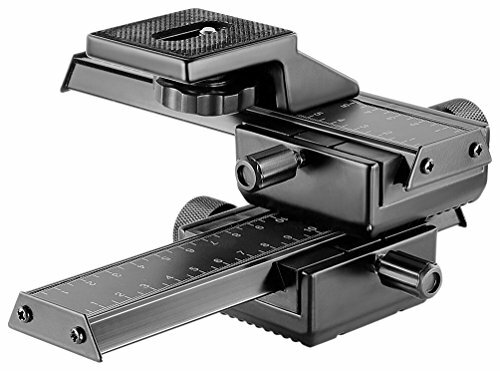 It can be mounted on a copy stand, tripod, light stand or any accessoryáthat accepts a ╝ö tripod screw. It can be usedáoutdoors for great nature close-up photography, due to its compact size and light weight. 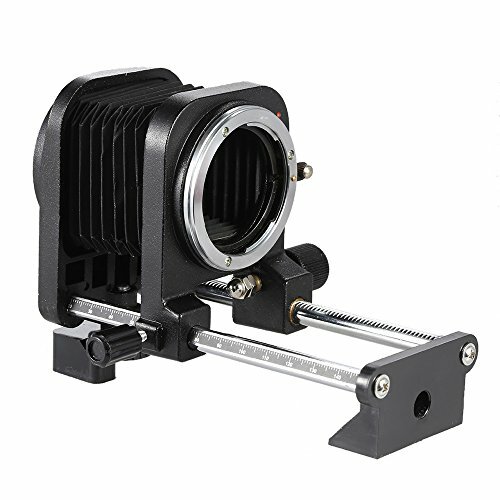 Feature Expandable black bellows without light leaks Tripod mount socket Ruled rail Geared focusing rail Smooth focusing knob Can be extended up to 150mm Weight is less than 1 pound Notice There are no electrical contacts in the extension tubes. Exposure has to be adjusted manually. Aperture control is not available if you use a lens which does not allow you to manually adjust the aperture (without an aperture ring) Compatible All Nikon F Mount Camera Such as: D7100, D800, D600, D5200, D5100, D3200, D7000, D5000, D3100, D3000, D90, D80, D70, D60 ect. 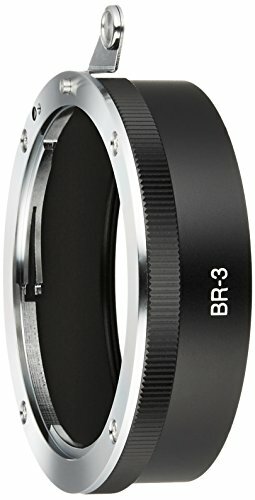 Looking for more Nikon Bellows similar ideas? Try to explore these searches: Sage Soy Candle, Pro v1 Balls, and Black Diamond Machine Ski. Look at latest related video about Nikon Bellows. Shopwizion.com is the smartest way for online shopping: compare prices of leading online shops for best deals around the web. Don't miss TOP Nikon Bellows deals, updated daily.